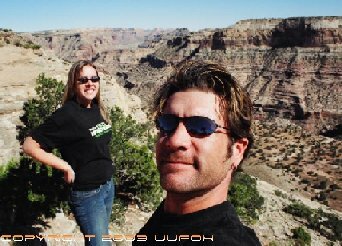 UUFOH is had an open skywatch September 13th -14th at the "Wedge Overlook"
Nicknamed "Utah's Little Grand Canyon", the Wedge Overlook provides visitors with spectacular views, wildlife watching as well as primitive camping. For photographers, the Wedge Overlook is never the same. Shadows and light play on the sheer rock surfaces creating eerie images. 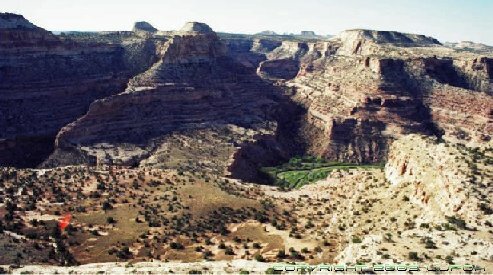 Located in the beautiful and rugged San Rafael Swell, the Wedge is a deep canyon carved by the San Rafael River. Strong winds blow up from the bottom and birds are often seen playing on the air currents. One sight you don't want to miss is that of a full moon rising over the Wedge, it is spectacular! 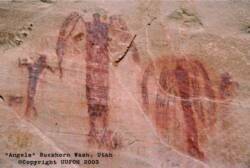 The Utah UFO Hunters & SLC MUFON welcomed everyone to join us for this skywatch, The turn out was small but high quality both in members & food! The Views were Spectacular! 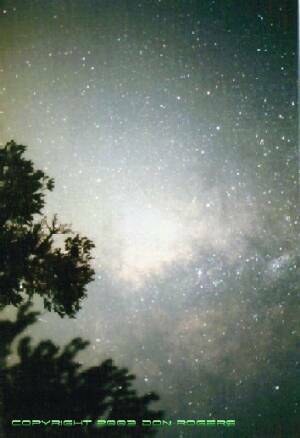 We will have another Skywatch here next year. "MAN,THE SHEER NUMBER OF THESE THINGS WAS AWESOME.....IT WAS WIERD....THEY SWAM LIKE FISH THROUGH THE SKY, OCCASIONALLY ZIPPING BACK AND FORTH AT EXTREME ANGLES AND SPEED....NO "FIRE" OR EXHAUST COULD BE SEEN, SEMI SEE-THROUGH WITH COLOR-CHANGING GLOWS...WOW!...." 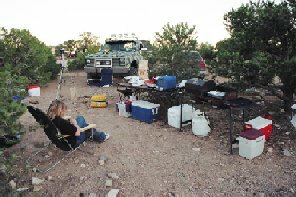 It will be an overnighter so come prepared, it is a rural, desert area, (Hot during the day and cold at night) most of all bring your equipment, and plenty of tapes and film. For you first timers- Camp gear, warm clothes, blankets, chairs, food and drinks, water are recommended. You are also welcome to bring your ATVs or other off road vehicles to explore the area. It will be a POT LUCK Saturday evening so bring a small food item to share with group. 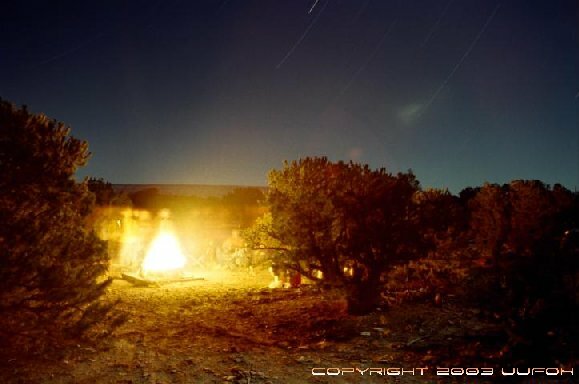 UUFOH will provide a large camp chef stove to cook on, but bring your own if you wish. THIS PLACE IS EASILY FOUND...EVEN MARKED ON SOME RECREATIONAL MAPS AS "THE WEDGE OVERLOOK", IT IS NEAR THE BUCKHORN WASH AREA EAST OF CASTLE DALE, UTAH. 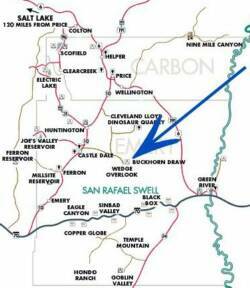 - From Salt Lake City take I-15 south and get off on Route 6-Spanish Fork, take Route 6 to Price, Right onto Route 10, Route 10 thru Castle Dale until the sign for Joe's Reservoir on your right, Pass that then make a left at the sign for San Rafael Swell etc., which is a Dirt road, go straight until Buckhorn Wash and the Wedge Overlook. We will try to post a few signs at the turn off to the dirt road and beyond (UUFOH SKYWATCH ->) to show you the way, and one at the target location so you know your there. 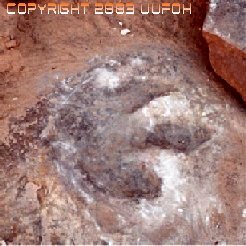 UUFOH hopes to have a big turn out for this skywatch, We have grown considerably in 2003 and would like to get the members of UUFOH together for our largest group photo ever! 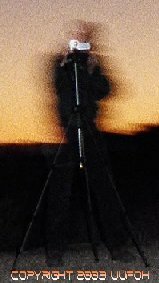 With the SLC MUFON group, other Utah researchers/ investigators, enthusiasts, or just the UFO curious, this skywatch/ gathering might be 2003's biggest and best! >UUFOH Members: bring your member T-shirts and ID tags and show your support! A limited number of T-shirts will be available for members who haven't yet purchased one. (supply is very low!) >New members, this skywatch is for you! an excellent opportunity to meet the rest of the team, show your support, test equipment, share photography tips, exchange info, plan other events, etc. I hope you all had as much on the Skywatch at the Wedge Overlook as I did! In fact, I have to admit that I got sidetracked and didn't do as much skywatching as I had planned on. But, I was more diligent on the Friday night before the main watch. Anyway, my nephew left two coolers there with the intention of picking them up on Sunday after we returned from our campsite. However, when we returned everyone had already left and the campsite was very clean. If you have one of these coolers please let me know so I can come and pick them up. one had diabeties supplies (insulin) in it which should have been left in the car. If you have one or both of these coolers please let me know at don.rogers1@comcast.net <so I can pick them up. A UFO was spotted that night! I don't know if anyone in our group saw it though. 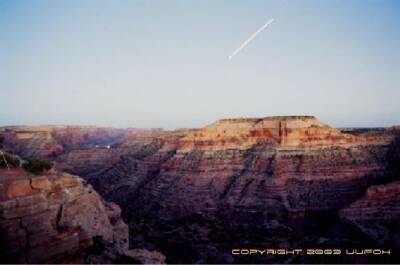 We meet up with some friends who were camping in the Black Box area, about 15 miles east of where we were, and they saw a "bright low flying light, flying in a zig zag path from south to north and it was definetly not an airplane." 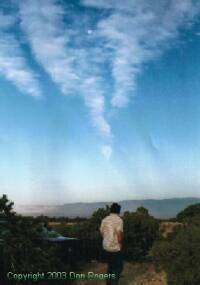 They weren't looking for UFO's, but it caught the attention of one of the group who pointed it out to the others. They said they saw it about 10:30 (no one had a watch) and watched it for about 15 - 20 seconds before they lost sight of it. We were in a hurry to get back to Salt Lake so I didn't get more details, but I'll see if I can follow up on it later.